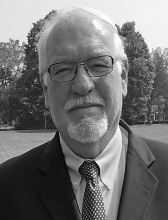 David L. Carter (Ph.D., Sam Houston State University, LL.D. (Hon) University of Central Missouri) is a Professor in the School of Criminal Justice and Director of the Intelligence Program at Michigan State University. His expertise is in the areas of policing issues, violent crime control, law enforcement intelligence and homicide investigation. A former Kansas City, Missouri police officer, Dr. Carter was Chairman of the Department of Criminal Justice at the University of Texas Rio Grande Valley 9 years prior to his appointment at Michigan State in 1985. He has served as a trainer, consultant, and advisor to many law enforcement agencies throughout the U.S., Europe and Asia on various law enforcement issues. In addition, he has presented training sessions at the FBI National Academy, the FBI Law Enforcement Executive Development Seminar (LEEDS), the International Law Enforcement Academy in Budapest, Hungary; the United Nations Asia and Far East Institute (UNAFEI) in Tokyo; special programs for the Royal Thai Police, Hong Kong Police, the British Police Staff College at Bramshill, several British Police Constabularies and police “command colleges” of several states. He also served at the FBI Academy’s Behavioral Sciences Unit the first academic faculty exchange with the Bureau. Dr. Carter is an Instructor in the Bureau of Justice Assistance SLATT program, author of the COPS-funded publication, Law Enforcement Intelligence: A Guide for State, Local and Tribal Law Enforcement; served as Project Director for three multi-million dollar national intelligence training programs funded by the Department of Homeland Security and co-Project Director of a National Institute of Justice grants to do a nationwide study on best practices and efficacy of law enforcement intelligence initiatives. Recently, Dr. Carter served as Team Leader for the Justice Department's Assessment of the Police Response in Ferguson, Missouri. He also served as Team Leader of two Department of Justice assessments of the Homicide Units at the New Orleans Police Department and Puerto Rico Police Department. He is an Academic Fellow of the Foundation for Defending Democracies wherein he studied terrorism in Israel. He is the author or co-author of five books and numerous articles and monographs on policing issues and is a member of the Editorial Boards of various professional publications. Dr. Carter is also a member of the Justice Department’s Global Intelligence Working Group Training Committee and Privacy Committee. He has received many professional awards, including the University Distinguished Alumni Award from Sam Houston State University, Huntsville, Texas.